The largest South Asian event in the East Coast, India Fair 2016 is going to be held on April 16 and 17, 2016 in Convention Center, New Jersey and on April 23 and 24, 2016 in Santa Clara Convention Center, Santa Clara, CA. This real estate symposium and exhibition will set the venue for the affluent Indian American community to know about top property deals to park their investments in India. 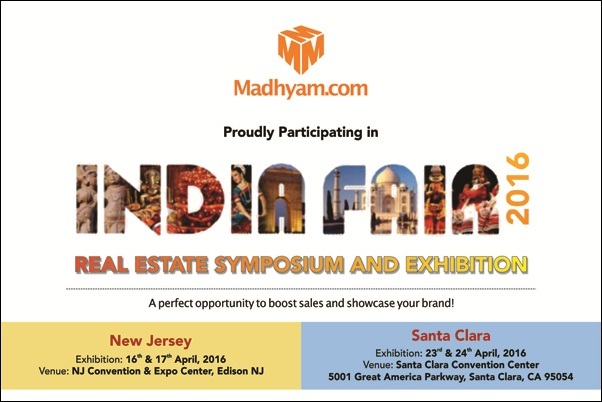 This time, India’s most reputed real estate consultant, Madhyam.com is also participating in the India Fair 2016. Madhyam, which had opened their new office in California, USA to address the investments of aspirant NRI’s, will showcase two of their exceptional investment options World Square Mall and Oyster Grande in the India Fair 2016. 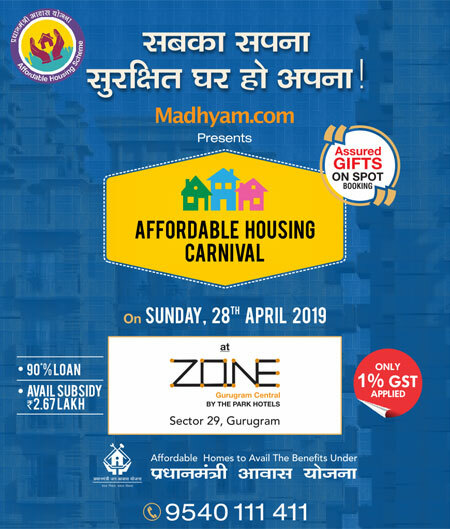 Thousands are expected to pour into the venue and those who come in can visit the stalls to learn more about Madhyam’s offerings and services. The positive economic growth and the business friendly tag of our growing economy are expected to attract more investors this time into the India Fair. The major highlights of the show will include events like art, culture and heritage, besides ample opportunities for business networking. The show will also host entertainments like bhangra, masti and dhol. Many Bollywood and television stars will also add fervor to the show with their stunning performances.